If you are looking for a reliable and honest door fitter in Walsall and the surrounding West Midlands, Simply Doors can help. 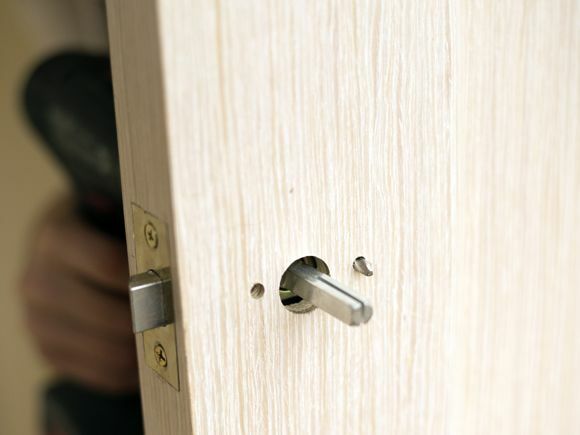 We offer expert door installation services for all types of wooden doors including oak, pine, MDF and fire doors. All of our doors are fitted by our fully qualified carpenter and installed with a great quality finish and expert workmanship. Simply Doors is based in Walsall, so most of our work comes from local word of mouth recommendations, but we are also happy to serve the surrounding areas across the wider West Midlands. 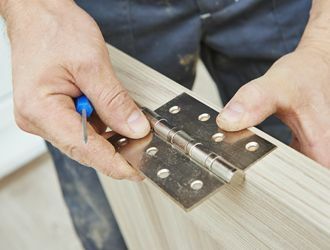 Our door fitting services are offered to private homeowners for domestic projects, as well as offering subcontract work to construction companies for all trade and commercial projects. Simply Doors can provide a standalone door fitting service if you have already purchased your new doors. We can fit all types of wooden doors including internal, external, safety, and fire doors. 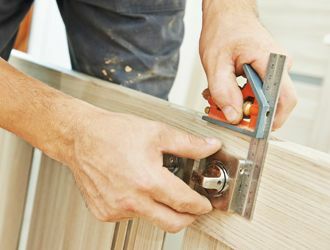 Our fully qualified carpenter will make sure your door fitting is carried out professionally, and to the highest standard of workmanship. If you need to source a new door Simply Doors can supply and fit your new door. We'd be happy to discuss door options for your project and offer honest impartial advice on what type of door will be most suitable for your needs. We can also visit your property to view the scope of your door fitting project and offer a free no-obligation quote for the doors you require and the full installation service. 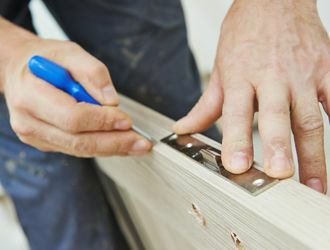 Our fully qualified carpenter takes great pride in offering a fully bespoke door fitting service that is flexible enough to meet your needs. Simply Doors is happy to arrange a door fitting that will suit you. With over 12 years of experience fitting doors for homeowners we understand that having work done to your home can be stressful, which is why we always try to minimise any disruption to you and your property, making sure we get the job done on time and in a neat and tidy fashion.